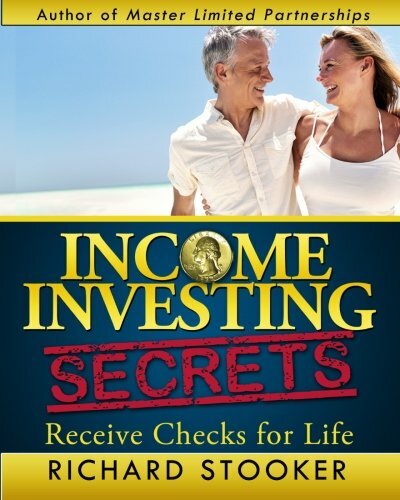 Buy How to Make a Million - Slowly or Income Investing Secrets cheaply from Amazon. You too can earn money from writing articles by signing up for InfoBarrel. Individual Savings Accounts, or ISAs, were introduced in 1999 as a replacement to Personal Equity Plans, or PEPs, which were a tax efficient vehicle for investing in stocks and shares, and Tax-Exempt Special Savings Accounts, or TESSAs, a type of cash investment. A Stocks and Shares ISA effectively replaces a PEP and a Cash ISA a TESSA. Why Invest With an ISA? Currently, there is no tax on any income received in an ISA, with some income paid gross, rather than net which has already had tax deducted, or any capital gains tax payable on holdings in an ISA. This could of course change in the future as it has in the past. This allows savings to increase faster, as the money that could or would have been lost in tax is instead reinvested into the plan. A 1% increase in return on an investment can greatly increase the overall value by the end of the term, so the potential saving in tax is definitely worthwhile, especially for higher rate tax payers. ISAs being a tax efficient investment is the primary reason for using them as an investment vehicle. If you are planning to buy any stock market investment, whether individual stocks or unit trusts, it makes sense to do it through a stocks and shares ISA, at least for those investments that you are allowed to purchase through an ISA. You can't transfer (most) existing investments into an ISA, so they will have to be sold and the resulting monies invested, which can cause a tax consequence as well as transaction charges for the sale itself and the repurchase within the ISA. Currently there are two types of ISAs, Cash ISAs and Stocks and Shares ISAs. Cash ISAs are suitable for holding cash, and are not really a suitable long term growth investment. Stocks and Shares ISAs can be used to invest in stocks, shares and more, as detailed below. Stocks and shares ISAs are best used for long term investing, especially as over the short term the value of investments held in them can decline. They should therefore not be used to hold any money that could be needed quickly, as this could cause an unplanned for loss. What are the Charges on an ISA? The actual charges can depend on a number of factors, and they may be both direct charges, for simply owning the ISA, or indirect, such as management fees on collective investments, and transaction charges for buying and selling share holdings. The different types of charges, such as management fees simply for owning an ISA, have variable levels, which can be affected by how much you have invested. The transaction charges, every time you buy or sell an investment, can quickly mount up. Some managers even have an exit charge, which is payable when transferring the investment to a new manager. The last charge should be avoided if at all possible and, if not, should be a fixed fee. Losing a percentage of your portfolio in an exit charge is definitely something to avoid. Exit charges need checking before investing, not afterwards when it is too late. Most ISAs rarely have the ability to invest in anywhere near the full range of potential investments. With many, only a limited number of investments, quite possibly just that ISA manager's funds, or a selection of them, will be all that is available. In general, the greater the range of potential investments, the higher the management charges may be. If just one investment is going to be purchased, which is likely with a limited budget, it is not worth paying extra for an ISA that allows investment in every possible thing. Management charges can make a difference to the long term profit of an ISA investment; even a 1% difference in charges can make a significant difference when this is compounded, although the tax saving can more than offset that and does make a difference itself. Annual management charges can vary and, although a charge of £60 + VAT per year may not sound like much, if you are only investing £10 per month it definitely is. The amount you invest, and the type of activity (such as regularly buying or selling shares) can make a difference. The total charges should come to less than the tax savings; if they do not, there is little point in using an ISA as a vehicle. Check all the charges before investing. Credit: SXC.HUWhat Investments can be Included in a Stocks and Shares ISA? There are quite a wide range of suitable investments, although what can and can't be included can change. Currently, this is shares and corporate bonds listed on a recognized stock exchange anywhere in the world, gilts issued by the UK government and similar investments in the European Economic Area, unit trusts and Open Ended Investment Companies, APPROVED non-UCITS (Undertakings of Collective Investment in Transferable Securities), UCITS based elsewhere in the European Union, shares transferred from an approved Save as you Earn scheme or share incentive plan, life insurance policies, and medium term stakeholder products. Property, to a certain extent, although there are very strict rules that probably rule out many types of property investment, can also be included, although likely only through the more specialised plan managers. Cash can be included but, unlike in a cash ISA, this is only applicable for cash waiting to be invested, or re-invested in the case of dividends and other income, in suitable investments. An example of a recent change is that shares listed on AIM, the Alternative Investment Market, a sub-market on the London Stock Exchange comprised of smaller companies are, since 5th August 2013, according to a phone call made to HM Revenue and Customs, allowed to be bought via an ISA. In an even more recent change, in the March 2014 Budget, peer-to-peer lending became eligible for inclusion in an ISA. It is always worthwhile checking with your ISA plan manager, and HMRC, what the rules are on any specific investment, especially those that are more out of the ordinary, and whether your ISA is actually set up by your plan manager to hold them. Given the wide range of possible investments, many of the more off-the-shelf ISAs will have a limited range of investments - sometimes only one - that can be held via that plan manager. An investor may not, at least initially, really need an ISA that offers a wide range of potential investments. One in which you can have stocks, shares, peer-to-peer lending, property, gilts etc. has far too much diversification and corresponding increasing transaction costs, as well as it costing more to manage the ISA, to be worth getting with only a few thousand pounds to invest. This doesn't even consider the fact that determining which is the best investment out of all the possible choices is practically a full time job in itself. Unless the ISA investment is a small part of a greater portfolio, and for the majority of investors it is quite unlikely that they will be able to make a yearly ISA investment at the maximum allowed, most investors will not be looking at a wide range of diversified investments. Credit: SXC.HUWhat Investments Should Be Purchased? This is going to be determined by both the amount you have to invest in an ISA, and your total portfolio size. First, determine how much money you have to invest per year, or per month in a regular plan, as this will help narrow down the choices. With only a relatively small amount available to invest, it is probably best to look at collective investments such as tracker funds, or others, rather than individual stocks, as a small investment amount will not be enough to properly diversify between several stocks without losing a lot in transaction charges. At the absolute minimum, you want to be looking at a purchase of £500 in a single share, before transaction charges, and you can still have to make a respectable increase in the investment's value to cover those charges and those incurred by selling the investment, probably in the region of 10% if it is sold, which means that for even a fairly basic level of diversification will require an investment of several thousand pounds, as a minimum holding of £1,000 is better. An Index Tracker Fund, such as one that tracks the FTSE All Share, can be a good starting investment, and will require a less flexible ISA, at least to begin with. Then, when the amount in the ISA has increased enough, possibly through income received from dividends and interest as well as capital gains, as well as by further investments in it, it can be changed to a different plan manager that runs a more flexible ISA. Should you immediately have sufficient funds available to fully invest in an ISA, and have the skill to pick investments - which very few have, and this includes the vast majority of professional fund managers who are paid to do this - then a more flexible ISA will be worth considering. If the ISA is only part of your total investment portfolio (as is the case with John Lee, author of How to Make a Million - Slowly), individual stocks can be considered - although, in most cases, they probably shouldn't be, without the skill to do this and beat the market. Should you Invest in a Pension or an Individual Savings Account? Pensions do have a number of tax advantages, although these are less since Labour's raid on the pension funds led by Gordon Brown in 1997 which mostly went unchallenged, despite the long term consequences it will have on peoples' retirement incomes. A more recent hit on pensions is the lowering of the maximum amount that can be held in them done by the present government, from £1.8 million to £1.5 million, and then down to £1.25 million. This might still seem like a lot of money, but it does significantly reduce the money available for retirement. ISAs, on the other hand, have no limit to the maximum that they can be worth. Both pensions and ISAs have a limit to the amount that can be invested every year, but that for pensions is, currently, substantially higher. Pension income, once taken, is taxable, but it is invested in using pre-tax money. ISAs are much more flexible, but the money is after tax. Both have their good points, and it is definitely worth considering a company pension plan, or one where an employer also pays into. Ideally, both should be invested in. Credit: SXC.HUHow Disciplined an Investor Are You? It is easy to withdraw money from an ISA, although you cannot necessarily re-invest it back in if you have reached the investment limit, which gives it much more flexibility than a pension. This can be a bad thing, as you may be tempted to withdraw money for short term frivolous purchases, thus damaging your long term goals. This is actually a negative in some respects, for those who are easily convinced to buy the latest shiny. Investors who are most likely to withdraw their ISA investment for short term purchases should look at investments that it is harder to release the money from, such as pensions. What's the Best ISA to Invest In? This is not a simple question, and will change depending on your needs, and how much you have to invest. An ISA suited for an active investor with a large stock portfolio is not going to be suited for a small one investing in tracker funds. At the time of writing, the Virgin ISAs have a low investment amount of just £1, with no charges for running the ISA, just those for managing the fund, which is 1% for the FTSE All Share Index Tracker (actually, a bit on the high side for a tracker fund) and the Bond & Gilt ISA and 1.75% for the Climate Change ISA. The investments may not be the best available, but this, thanks to the low investment threshold and no exit charge, is a good initial investment. Insightful and informative article. Thank you for taking the time to share your knowledge with us.